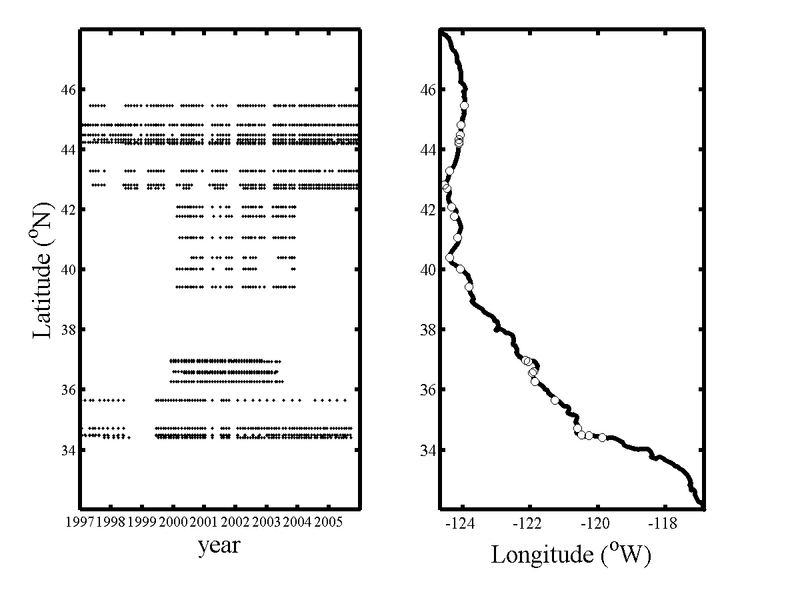 All data corresponds to larval collectors deployed by PISCO on exposed rocky shores and located on the mid intertidal zone across a grand total of 26 sites Along the U.S. West coast from central Oregon to southern California. 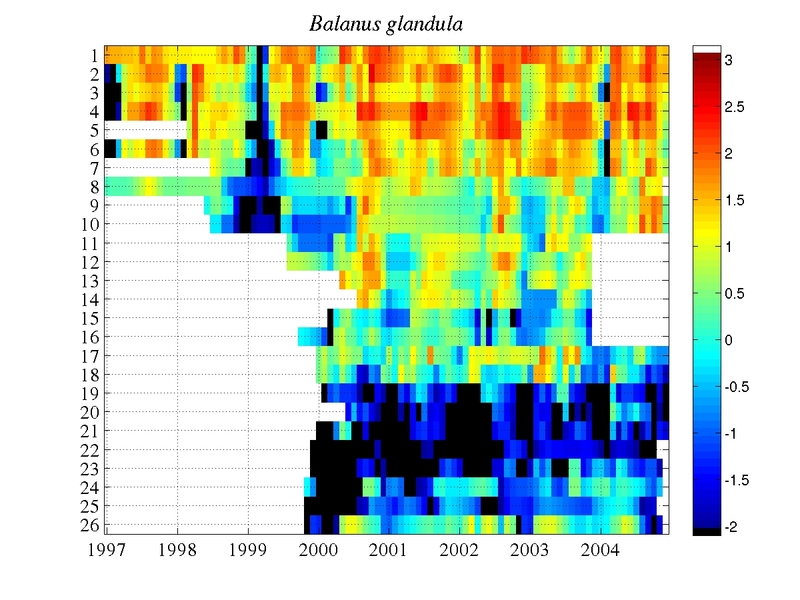 The data covers a total of 9 years of monthly field monitoring with the earliest time series beggining January 1997 and the latest ending December 30, 2005. 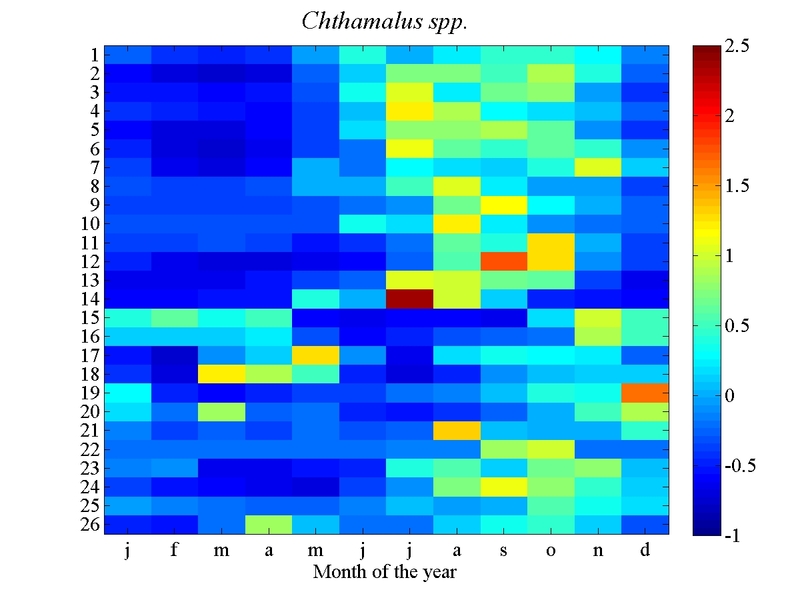 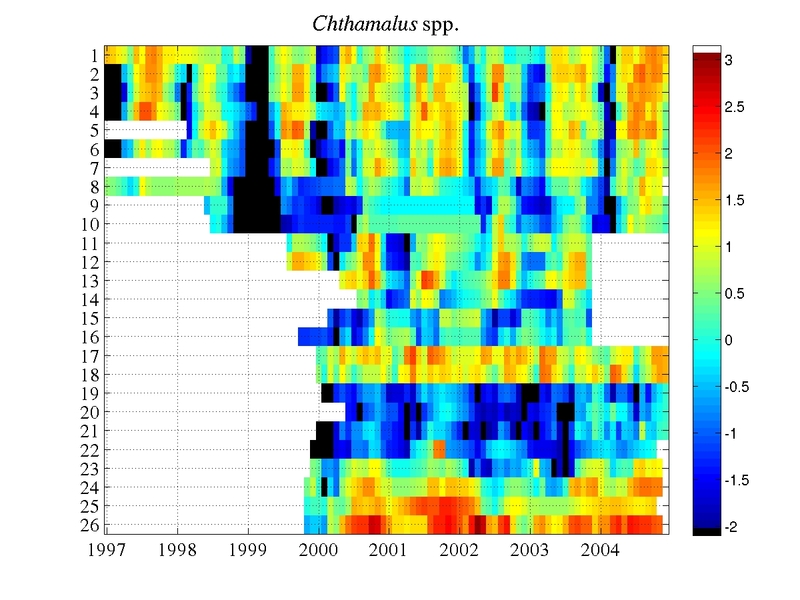 The plots below show the time series of monthly means and recruitment climatologies expressed as the number of individuals per tuffy/plate per day. 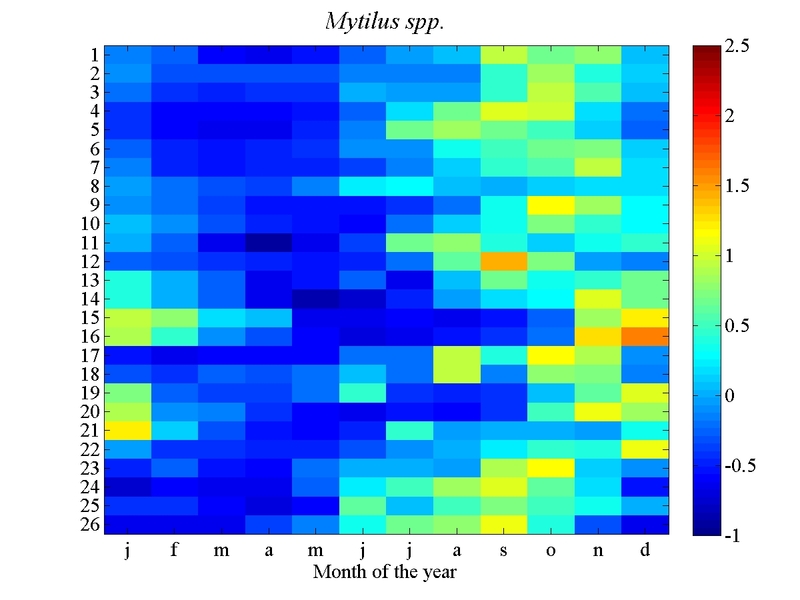 The raw time series of monthly recruitment pisco (plots on the left) were calculated as the average of all availabe tuffies/plates recovered at the end of each month. 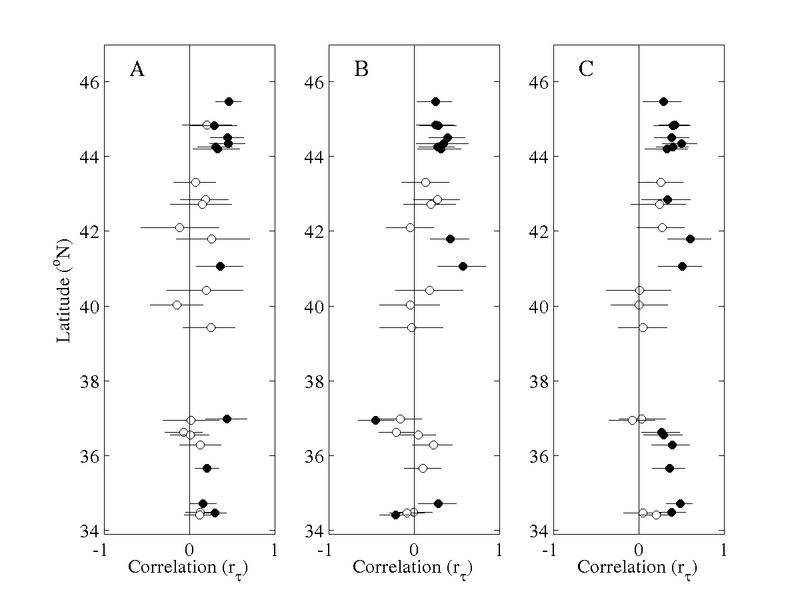 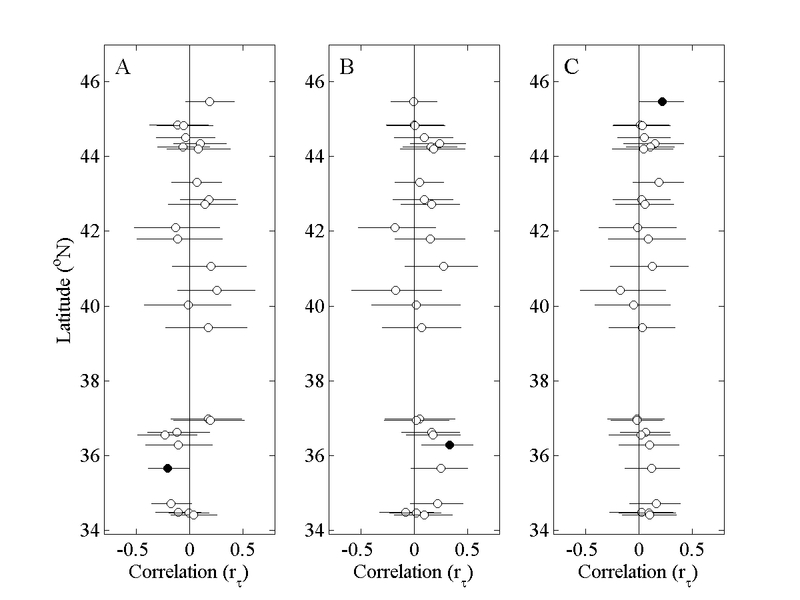 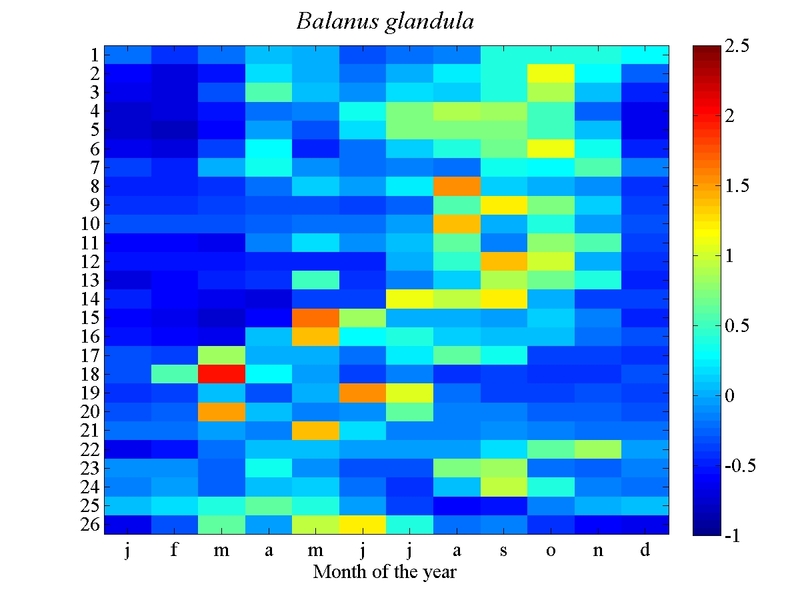 In the case of recruitment climatologies (plots on the right), monthly standardized anomalies were averaged to estimate the long-term anomaly during each month of the year.